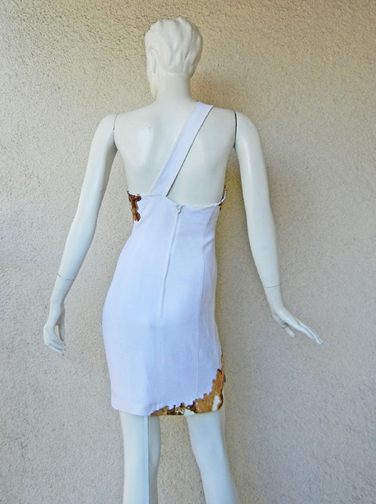 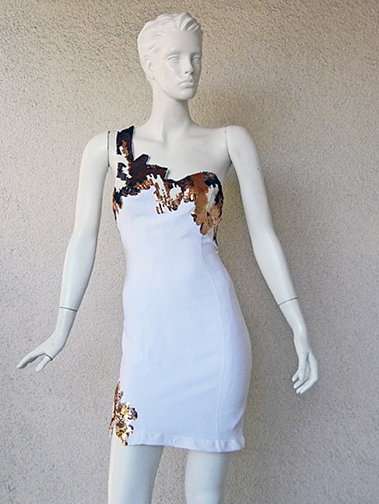 Thierry Mugler circa 1980's one shoulder body hugging asymmetric dress fashioned in white silk viscose. 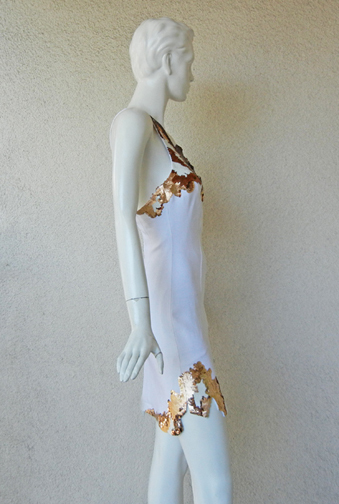 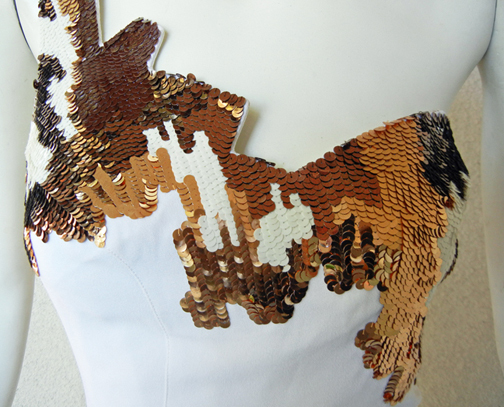 Dress is adorned with gold hand applied paillettes at top and lightly trimmed at hemline. 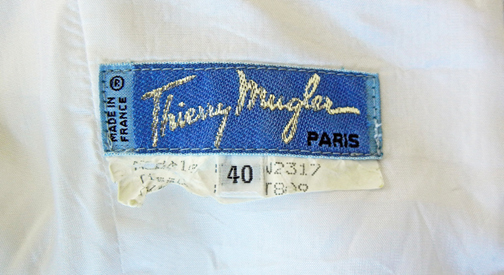 Worn at one of the Cannes Film Festivals.